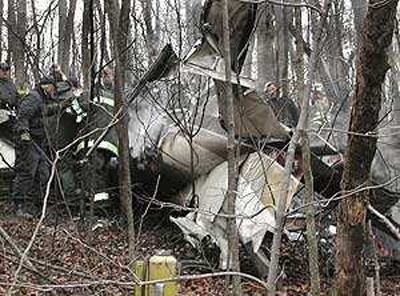 On approach, the twin engine aircraft struck trees and crashed in a wooded area, few miles short of runway 23 at Greeneville-Greene County airport, Tennessee. Only one passenger survived the crash. It seems that the accident occurred in icing conditions.